Duo Lon is one of the more versatile players in the XIII roster. His gameplay revolves around his pokes, fast mix up with Rekkas (Suteki Juryu, qcf+P x3), and his teleports. With the introduction of Ex specials in XIII, his (air) f+A and (air) f+B command/special attack become very useful for setting up mixups. He's typically a rush down character but at the same time he can zone his opponent well with his f+A ground and air version. His f+B also prevents opponents from turtling him from a far. Despite having overall a low damage output and losing his other variation of Rekkas from '03 and XI, he's still a very capable silent assasin like his official nickname suggests. Rekkas great for anti hops and deceivingly large hit box. Overhead An attack that must be blocked high. Mid An attack that can be blocked either high or low. Low An attack that must be blocked low. s.A: 25 damage, cancelable/chainable, hits mid. A good normal to anti-air short hops with. It whiffs on crouching opponents, unless they are hit with another normal first, such as d.A or d.B. One of Duo Lon's primary normals used to reset the opponent after landing his rekkas. s.B: 30 damage, cancelable, hits low. The best thing about this normal is that it is a standing low attack. Can be used for tick throws and frame traps, or to feint a f+B since it has the same animation. The drawbacks are that it isn't chainable, and it lacks range in comparison to Duo Lon's other commonly used ground normals. s.C: 70 damage, cancelable, hits mid. A fast normal, but it has a fairly small hitbox. Also causes more push-back than s.D, so s.D is a better option for punishes and frame traps for the most part, aside from s.D being about 1 or 2 frames slower. It is often used for mid screen resets after landing Duo Lon's rekkas. s.D: 70 damage, cancelable, hits mid. The go-to normal for punishes and frame traps. It is about 1 frame slower than s.C, but it easily makes up for that in every other department. It causes less push-back than s.C, so you can confirm into f+A-rekkas without having to worry about the first rekka in the series whiffing. Can also be late cancelled out of into qcb+A or qcb+B in corner resets to keep applying pressure. A lot of reversals go right through qcb+P though, so don't use it too much. Far D: 70 damage, cannot be canceled, hits mid. A decent far range anti-air normal, and not bad to end a blockstring with because it doesn't whiff on crouching opponents. Aside from that, there's not much else to be said about this normal. d.A: 25 damage, chainable, hits mid. This thing is amazing. It has a 4 frame start up, and is +4 frames on block. This should be your main pressure tool when rushing down up close, and what you should chain into after d.B, since d.B isn't cancellable. Also a good reset option after landing Duo Lon's rekkas. d.B: 30 damage, chainable, hits low. This is Duo Lon's main low threat. It's a good normal for the most part, but the main drawback is that it isn't cancellable. It also doesn't have quite as much frame advantage as d.A. For these reasons, it's usually best to end your chains with d.A. d.C: 70 damage, cancellable, hits mid. A decent anti-air against normal or super jumps. It does have kind of a slow start up though, so you need pretty good reaction time to use this for anti-air purposes. Can be cancelled into qcb+P or qcf+K after an anti-air or a ground hit to set up a mix-up, or to start applying pressure. Cancelling into qcb+P can be punished if anticipated though, so it's recommended to use it sparingly if you do so. d.D: 80 damage, cannot be canceled, hits low. Not a bad sweeping attack, but unlike many sweeps, it isn't cancellable. It also lacks in range compared to a lot of characters. Has use sparingly as a frame trap at the end of attack strings, but not much else. j.A: 45 (40) damage, cancellable, hits overhead. Good close range air to air. Basically the same thing as s.A, but in the air. j.B: 45 (40) damage, cancellable, hits overhead. A light jumping attack aimed downward. Decent as a jump in, but j.D is better for this purpose in most ways. The most noteworthy thing about this normal is that it can be cancelled into the air version of f+B to create a double overhead. The main problem with this idea, is that the j.B must be done as soon as possible, and will whiff on crouching opponents at this height. This leaves Duo Lon vulnerable to being punished, so only use this if you know your opponent is conditioned to block high. Can also be cancelled into the EX version of f+B, which comes out faster so it can be cancelled into a little later. j.C: 72 (70) damage, cancellable, hits overhead. Good close range air to air. Also decent for air resets after the ground version of EX f+B hits. j.D: 70 (68) damage, cannot be cancelled, hits overhead. Duo Lon's best air to ground attack. Aimed pretty much straight below Duo Lon. Causes good hitstun, and can be activated fairly early during a hop while still hitting most crouching opponents. Can also be used as a weird air to air if the opponent is below Duo Lon. Also has the ability to cross up. CD: 75 damage, cancellable, hits mid. This is mostly used to whiff cancel into Duo Lon's special moves to give them more range, or to set up dirty mix-ups on an opponent's wake-up. More detailed information about this is listed below on this wiki page. j.CD: 90 (80) damage, cancellable, hits mid. Solid jump CD. Fairly fast, and has a deceptive hitbox. It is aimed slightly downward though, so be wary of opponents jumping higher than Duo Lon. GCCD: 10 damage, cannot be canceled, hits mid. All of Duo Lon's [DC] combos add less than 50dmg making the decision to use a [DC] very difficult. Duo Lon's [HD] are not particularly damaging either due to scaling and overall low damage output. However, if using rekkas as a start of a combo to punish (whiff normal or special), it is much easier to hit confirm the first two rekkas, then [DC] f AC, than to blow a Ex rekkas hoping it connects in time then [DC] f A. When performing Ex rekkas, cancel into the second hit as late as possible but the qcb A as fast as possible--that is the only way to get Duo Lon close enough to do a s.D, f A instead of just a d.A. If starting from low attacks (d.B x2, d.A), skip the f A to do the Ex rekkas. Like any other character, if Duo Lon is going to maximize damage in a combo, use the Ex rekkas first and use [DC] f AC, qcb A towards the end. E.g. (Ex rekkas --> [DC] f AC) > (rekkas, [DC] f AC, Ex rekkas) in damage. Remember that f A does slightly more damage than the first rekkas so it's still better to do: d.Bx2, d.A, f A, Rekkas x2 (first one whiffs) than d.B x2, d.A, rekkas. His DM, Genmu Bakko Shikon (qcb hcf+P), has startup invincibility only but has projectile invincibility throughout the move. The Ex version, is fully invincible all the way through. If performing the f A, f B, DM cancels is a little tricky at first, use the: f A, qcb B, hcf B~P shortcut. When you [DC] into f B, it increases his startup but also increases his recovery so you cannot link anything afterwards. Duo Lon's f B when non-[DC] into, leaves him in a positive enough state, to link a special or normal afterwards in the corner. A clever way around this "limitation", is to [DC] into qcb B, use the free f B cancel off the back teleport, then link into a s.C Saiki_TJ_MX illustrates the point here. After DM or EX DM. Before the opponent lands or any situation whereas s.CD would cross the opponent. Do CD but do not intend to rekka after it. Instead. Let it hit the opponent with the raw CD. This will allow for a reversal not to cause a counter hit. 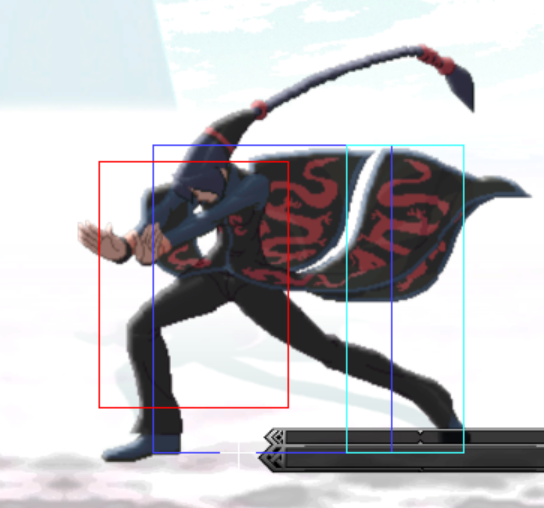 It will allow for a CD cross up hit, or if you delay it just a couple of frames it will hit in front of the oponent. 1. st. A > cl. C (L) - 2 frame gap between st. A and cl. C. St. A whiffs on crouching opponents, except on Daimon, Raiden, and Maxima. 2. st. A > cr. C - 3 frame gap between st. A and cr. C. St. A whiffs on crouching opponents, except on Daimon, Raiden, and Maxima. 4. cr. A > cl. C (L) - 1 frame gap between cr. A and cl. C.
6. cr. A > cl. D (L) - 1 frame gap between cr. A and cl. D.
7. st. B > st. A - 4 frame gap between st. B and st. A. St. A whiffs on crouching opponents, except on Daimon, Raiden, and Maxima. 8. st. B > cr. A - 4 frame gap between st. B and cr. A. 9. st. B > cl. C - 4 frame gap between st. B and cl. C.
10. st. B > cr. B - 4 frame gap between st. B and cr. B. 11. cr. B > cl. C - 4 frame gap between cr. B and cl. C.
Duo Lon does not have many tools to play with in this range; as long as the opponent does not hyper jump in, he can use his qcb+P projectile as tool to advance in or simply just to see what the opponent does. Although it has incredibly bad start up, once out, the qcb+P (particularly the C version) lingers for quite some time allowing Duo Lon to chase after it allowing for some good pressure strategies. If they jump at him, hop f+A will poke out any jumper due to it's range or a well timed DM will snag them as they jump over. If they do not do anything, annoy the opponent with qcb K~f+B and poke him/her out. It's a good habit to cancel the f+B off the back teleport just in case the opponent jumps in as well to keep good distance away from them. If they are advancing too much for comfort, jump back air.f+B and air.f+A does wonders. This is where Duo Lon is most comfortable at. Despite Duo Lon having a good rushdown game, he excels at this distance because of his mix ups but mainly because his only true special move, his rekkas, are sadly punishable on block. Duo Lon can continue to annoy his opponent with qcb~f+B pokes but now he can add f+A in front making a cool 2-hit combo. If he uses the Ex version, it will set him up for a DM juggle or more mix up. After the Ex f+K from full screen, it'll knock the opponent towards him. Use (dash) f+A and cancel into his qcf B to land in front of them, or his qcf D to land behind them to add more pressure or simply do his DM. a) DM. You can add an extra qcb A before the DM if you're close enough. 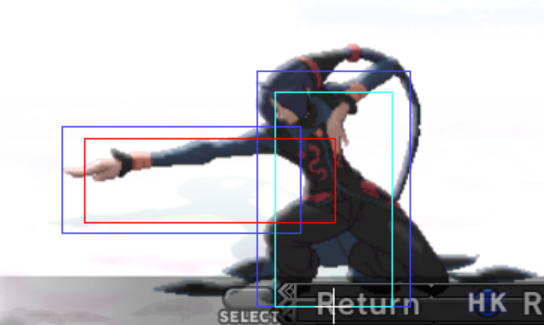 Apparently in v1.1, if the opponent has their back turned (qcf x3, qcf B, s.A --> opponent's back turned or Ex f K, dash underneath, s.A -->back turned) there's a small 1-2 frame window where the opponent is landing and is changing direction where the hop B --> air f B is incredibly hard to block according to reports from Japanese players, some reports say on certain opponents it may even be unblockable but this has yet to be confirmed. Although it takes some practice, hop B (press it as early as possible) --> air f.B (cancel it as late as possible) stun them long enough for a ground combo making Duo Lon's mix up even more deadly. He can also time a sets of hop B, air f B if he positions his jump correctly (http://youtu.be/PndqRE10eFw?t=1m45s). You can also time a hyper hop B, air f B to connect into a ground combo as long as your hyper hop B hits them on his way up from his jump arc. However, do not get too predictable as the opponent is in range for them to punish Duo Lon with a jump in if the f+A is mistimed. If they jump in on Duo Lon, an early d.C (it does have a slower start up than it looks so be careful) is a good anti air canceled into qcb+A (which is still punishable so keep that in mind) or a qcf+B teleport or dash in d.B. Duo Lon's jump C is a great air-to-air and his jump D is a grat air-ground attack so use them accordingly. Like mentioned before, this is like a double edge sword for him. His rekkas are his strengths yet it is his kryptonite. If he is over reliant on the rekkas he will get punished on the teleport which can be command thrown if they have a 1-frame throw or simply punished by fast moves like Maxima's Ex Maxima Press (Ex hcb+BD). If the rekkas block string is staggered, the opponent can even normal throw him but holding back+P/K as he teleports past them. Since the last hit of the rekka can only be free cancelled into his forward teleport (and he cannot drive cancel on a blocked special move of course)--it is suicidal to do it in the corner on a blocking opponent. Duo Lon's d.A has good reach, relatively fast, and good recovery; it's arguably one of the best d.As in the game due to it's +4 frame advantage. This should be the poke of choice in a blockstring. After two d.As, one qcf+P leaves him relatively safe due to distancing but is still punishable. The light pokes also help serve as a good hit confirm and like most fast characters, he can do three light attacks into a special (rekkas) or a command attack; d.B x2, d.A, f+A is an even better hit confirm and he can always omit one d.B if he is too far. Note, if he chooses to do three light attacks the best thing to do after the f+A is a DM or cancel into the Ex f+K --> Mixup. If he goes for only two hits, f+A, rekka--> his first hit of the rekka will whiff but the second and third hit will connect-- and since the f+A does more damage than the first qcf+P it is still worth it. Do not forget to let the stick return to neutral before pushing it to f+A otherwise it is easy to overlap with the rekka motion. Alternatively, holding df on the stick when pressing d.B, d.A and just pushing the lever to f+A will also prevent the rekka overlap. Ex f+K juggles the opponent towards Duo Lon only if they are far away from him when getting hit. Hence, time d.B x2, d.A, f+A slower so it gives as much pushback as possible for the f+A so that the Ex f+K hits them far enough. Duo Lon's s.C comes out as fast as s.D but s.C has more pushback making certain strings such as d.A, s.C, f+A, rekkas harder to connect. j.D is an excellent air-to-ground attack and it crosses up nicely, j.C works as well but the timing to crossup is a little tricker. j.C is a good air-to-air attack and a correctly timed vertical j.C serves as a great anti air when cornering an opponent. 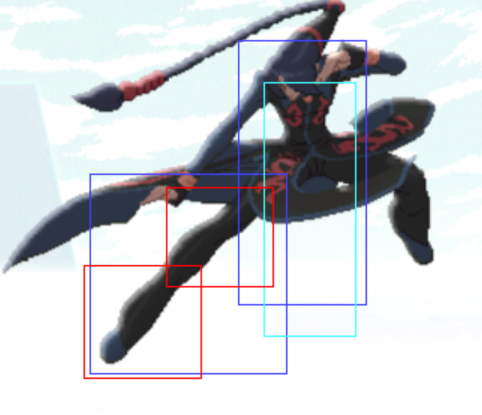 After a d.A blocked, he can chose to crossup with a j.D (normal jump as his jump arcs are pretty long) or continue to dash in and do another d.A again. Finally, if the opponent is being too defensive and he can always go for his command throw NeoMax; he can always do d.B (blocked), dash in NeoMax. Anytime Duo Lon is on top of his opponent as they're waking up he can time a ground CD attack (whiff) which will actually put him in behind the opponent --> rekkas (http://youtu.be/pr2wLHuvUi4?t=2m53s) (or s.CD (wiff), qcb A, d.A, rekkas but it's easier to see it coming). Even if they try to roll it on wake up the rekkas will hit the opponent. The only thing they can do hold block for a crossup which of course Duo Lon can condition them to do, only to do rekkas immediately instead of doing the s.CD. After Duo Lon's DM (Ex DM distancing is a little trickier, he will have to dash a little before pressing s.CD), he can also do the same wake up mix up (http://youtu.be/pr2wLHuvUi4?t=3m1s). Duo Lon can also hop vertically B as they're getting up and do a f+B real late (just skip a ground attack and go for the rekkas immediately) or Ex f+K (timing is much easier) to add to the mix up fun (http://youtu.be/pr2wLHuvUi4?t=3m11s). Duo Lon is a great character all around but he's generally seen in the first position. With his quick mixups and constant poking / attacking he builds meter relatively quick. Since he's weak in the corner, without a stock, it is best to start of really strong and attack for the bulk of the first round. If Duo Lon finds himself getting pressured into the corner find a chance to f+A (hit or blocked) --> qcf D or (hop B air f.B) --> qcf D. A well timed hyper rising jump B also helps a lot. Most of the time just save all his drives for his next character or use it for his HD combos. If all the mixups are correctly blocked, save up for a NeoMax and dash in and throw the opponent. Another great strategy on a blocked opponent is to do far d.A (blocked), Ex qcf+K teleport, combo from the other side. The mixup is incredibly fast and if Duo Lon is always attacking with d.As, dash d.As, it's really hard to react to the teleport crossup. Last but not least, the occasional random Ex f+K (mid to far) (into qcb A) into DM often catches the most experienced players as well. Command grabs that will not punish rekka rekka rekka teleport. D teleport has more start up so things in the B teleport category will work on D teleports as well. - Draw yourself in gradually if Ash tries to zone too much. Punish projectile attempts with f+B when Ash is grounded and if you anticipate a projectile, then continue to draw yourself for the offense. - Don't get too jumpy around Ash on his wake-up. Hop in carefully so that you can get the safe jump. Use qcb+P projectile to follow up during Ash's wake up from a knockdown. - Ash does not have that many good options in mid air, so take advantage of this. Jumping f+A, jumping f+B, and j.CD works wonders here. - Be careful when Ash sets his Genei traps. You will need to migrate around the field a bit more cautiously while trying to move in on Ash to defeat him. Continue to pester Ash with f+B if he is on the ground for too long and if you anticipate a projectile. - Continue to pressure Ash and mix him up after getting a knockdown. He does not do very well when he is cornered. - Watch out for Athena's j.CD. Smack her out of the air with jumping f+A or your own j.CD but you need be quick. - Punish projectile attempts with f+B, DM, or EXDM if you are mid range - After scoring a knockdown, use qcb+P to discourage Athena's wake up options and continue your rush down. - Athena's qcb+A projectile will actually give her a slight advantage on block so be careful. Stop Athena's hops and/or jumping attacks with cr.C if she is close to you in the corner - Always try to stay at a mid range distance between you and Athena so that you will be ready to punish any badly timed projectiles or jumps. Gradually start a rush down against Athena before she does! 4 0 13 -15 17 on startup vs jump attacks?